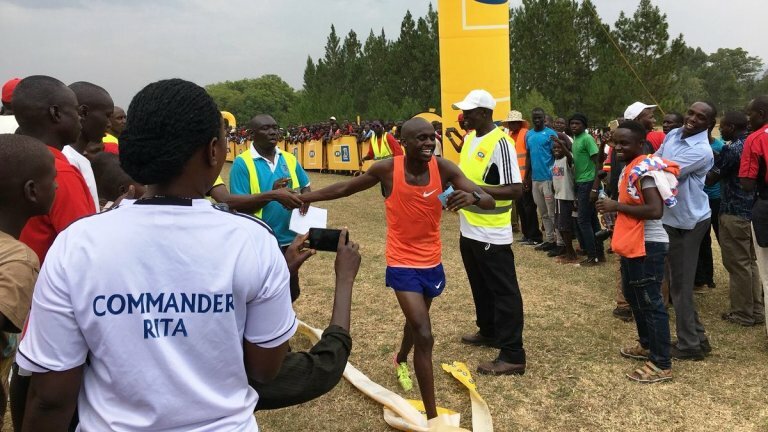 TOORO – Jacob Kiplimo is the new 10km Uganda national Cross Country Champion. The 18 year old achieved this fate at an event held at Tooro Golf Course on Saturday, beating Commonwealth Gold Medalist Josua Chetegei. Kiplimo proved he remains the man of the moment with a powerful kick that left revelers wondering. Kiplimo was racing for his club, Uganda Wildlife Authority (UWA), coming ahead of Police’s Cheptegei and Arua club’s Albert Chemutai. In the Ladies senior category, Police’s Stella Chesang won the race ahead of KCCA’s Rachael Zena Chebet and Prisons’ Esther Chebet. Other winners on the day included Ronald Musagala who triumphed in the 2km men category, Esther Chebet for the 2km women, Sarah Chelangant (6km women) as Hosea Kiplagant took the 8km race for men. At least 200 participants took part in the half day championship. A National provisional team will be invited to camp in preparation for the World Cross Country Championship in Aarhus, Denmark on 30th March 2019.